June, 1940. Richard Hannay has returned. As German troops pour across France, the veteran soldier and adventurer Richard Hannay is called back into duty. In Paris, an individual code named "Roland" has disappeared and is assumed to be in the hands of Nazi agents. Only Roland knows the secret of The 31 Kings, a secret upon which the future of Europe depends. 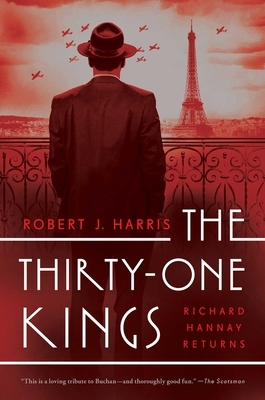 Hannay is dispatched to Paris to find Roland before the Germans overrun the city. On a hazardous journey across the battlefields of France, Hannay is joined by old friends and new allies as he confronts a ruthless foe who will stop at nothing to destroy him.